I am glad you are here. As you can see, this is the list of camping gears I've spent a lot of time working on. Many years of camping and experiencing different products, I, with the enormous help from my friends and fellow campers in the community, proudly introduce this product review page. This gear list can help you pack your things up so quick that anyone can start a camping trip within a few days. I mean this page actually saves your time. Please enjoy reading, pick the suitable things and leave me questions if you have any! One of the reasons I was drawn to this ratchet belt is its style. I’m more of a fan of minimalist designs so the Mission Belt was definitely up my alley. The stainless-steel buckle of this belt is a great companion with either a suit or my usual outdoor/camping/hiking clothes. So yeah, it doesn’t “clash” with your clothes if you are worried about fashion. For me, I always look at practicality first. In this category, the Mission Ratchet Belt delivers on all fronts. It can be adjusted easily and it locks in place perfectly. Hiking necessitates that you wear clothes and gear that are comfortable and won’t affect your movement. The classic belt that uses holes for its adjustment sometimes won’t give you the best fit. The ratchet belt solved that issue without replacing it with another. 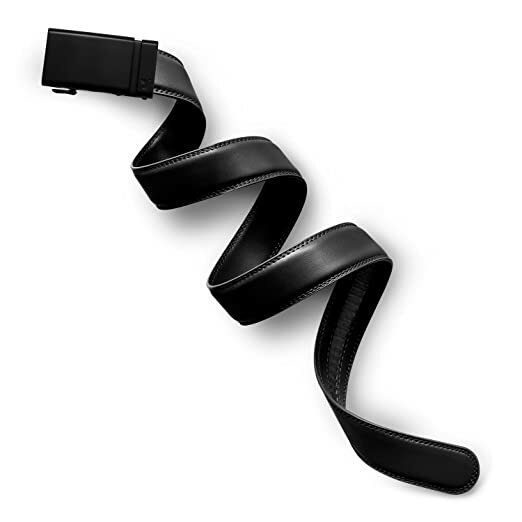 This is definitely one ratchet belt that I would highly recommend to others.